No, we’re not talking about the holidays. It’s sales kickoff season — get pumped. You’ve had a great fiscal year, and you’re ready to get your sales reps fired up to do even better next year. Just don’t fall into the trap of being one of those teams that spends a lot of money on sales kickoff, but doesn’t really accomplish much. Following is a quick list of DOs and DON’Ts to help you avoid that. Share an overview of the past year and recognize some major accomplishments, but also get people focused on what’s happening over the next 12-15 months. Even if big announcements have been hinted at for a couple of months, sales kickoff is definitely the time to share. You’ll want to get sales reps excited about the upcoming products or new vision for the organization (think of the excitement around any Apple product release). This could even include rolling out a new sales process or methodology. But you have to make sure to support the announcement with orientation and instruction, which leads us into our next point. You’re sharing plans with your team on what’s going to change in the upcoming year for business development, sales and even marketing, but you also need to make sure they are prepared to handle these changes. Make sure your sales team gets trained around new products, messaging and sales processes being implemented. Even if there isn’t a new product or methodology that’s being announced, your sales reps might need training around your revamped key performance indicators or how to be an industry expert in your specific vertical. These training sessions could even be a group coaching session, where reps share with each other what works, what doesn’t and where they might need help (more on team collaboration here). Whatever happens, do not let your sales kickoff become a snooze. No sales rep (or anyone, for that matter) wants to sit in a large auditorium and listen to an 8-hour long keynote speech. Stay away from saying cheesy, generic things to your sales team — like saying the upcoming year is the most important year for the company (and saying it every year). 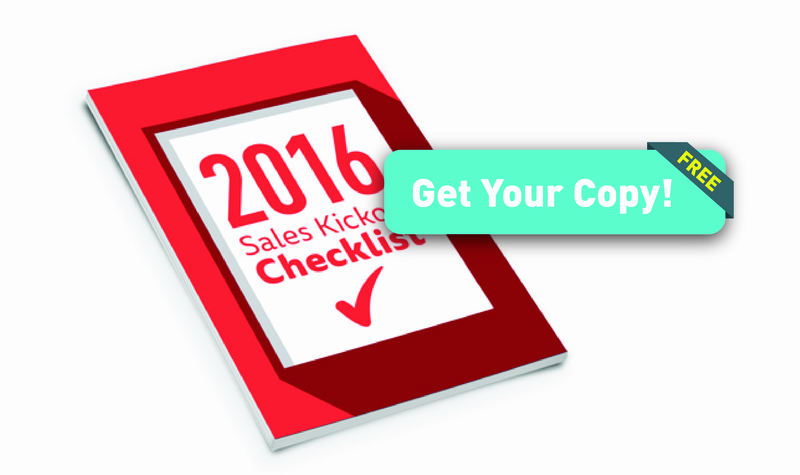 Finally, keep the sales kickoff enjoyable for your sales reps. Include some sort of fun activities for them. Get them genuinely excited about the upcoming fiscal year. It’s sales kickoff season. You’ve had a great fiscal year, and you’re ready to get your sales reps fired up to do even better next year. We're here to help.